Individuals and communities at risk of social isolation are being put into the spotlight this month, as housing and community services provider One Manchester, and the Royal Exchange Theatre, work with tower block residents in Hume and Gorton to create a unique theatrical performance which will premiere in the Exchange’s Studio Theatre. The residents, who live in One Manchester managed tower blocks, are putting the final touches to CAN YOU HEAR ME FROM UP HERE? a stage performance they’ve written and produced with the Royal Exchange Theatre. Working closely with the residents the theatre helped to pinpoint individual creative talents to bring the project together, from Martina Cribbin whose writing skills have informed much of the script, to the many other residents who will be on-stage performing the piece. The new 40-minute show is part of a three-year cultural engagement project named ON TOP OF THE WORLD which has been developed as a powerful creative platform on which residents who are at risk of social isolation can express their views, shed-light on their experiences and build new communities. ON TOP OF THE WORLD began in 2015, with the aim of encouraging single-occupancy residents living in Manchester’s high-rise accommodation to develop new skills and get to know other residents through engaging with the creative arts. “ON TOP OF THE WORLD has been an incredibly rewarding partnership with One Manchester. They are an organisation that recognises the intrinsic value of the creative arts for both their customers and their staff. This project has not only helped individuals to increase confidence, combat loneliness and find a voice but it has helped to build communities, increase social cohesion and improve vital communication with residents. Utilising the arts, and in particular the unique practices found in theatre, has resulted in a project that has directly impacted the health and wellbeing of those residents involved from something as simple as creating a social space within the block to empowering residents to take ownership of that space, manage it and keep it running day to day. This forms an incredibly important part of the sustainability and legacy of the project. The new performance builds upon the success of ON TOP OF THE WORLD, which originally began by identifying One Manchester residents who were keen to become cultural ambassadors for the project. Their remit was to encourage their peers to participate in cultural and social events taking place in the tower block and throughout the city-region. CAN YOU HEAR ME FROM UP HERE was created and is performed by participants of this scheme and has been inspired by their lives and experiences of living in high-rise homes. This inspiring and moving performance has been a way for residents to explore a broad range of issues and to express concerns about prejudices and stigmas that can be associated with living in urban tower blocks.  In addition to shows at the Royal Exchange, One Manchester will be staging a performance at its office in Hulme, for staff to attend. This event will help to ensure that those within the organisation are informed about the daily issues faced by their customers and the particular challenges of living alone in a tower block. 200 residents have been directly involved in the project, and it is expected to impact many more people in the local community. The participants, from Hulme and Gorton, now have a strong dialogue with One Manchester and have developed friendships in their local area. Figures recently published by the Office of National Statistics found five percent of adults in the UK feel lonely ‘often’ or ‘always’. Social groups ‘at risk’ of social exclusion were those who do not feel like they ‘belong’ to their neighbourhoods and those who are less satisfied with their local area. Loneliness has been labelled as harmful to a person’s health as smoking 15 cigarettes a day and is thought to be a bigger threat to our national health than obesity and physical inactivity. “Isolation and a lack of belonging can have a huge impact on people living in our communities. The wellbeing of our residents is hugely important to us and we wanted to do something different that will really have an effect on people’s lives. “This performance gives our residents a voice and an opportunity to express themselves. Not only is it incredibly brave of them to put themselves in the spotlight and discuss matters close to their heart, but it allows us to digest everything our residents are saying. The hard work and commitment that has gone into this project is inspiring; three years ago we could never have imagined how it would evolve. We are listening to what our residents have to say and will use our reflections on this performance to shape our future work in creating resilient communities and places where people want to live. What is You, The Audience?